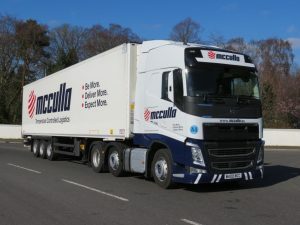 Like the majority of Irish road haulage operators and fleet companies, McCulla Refrigerated Transport, was challenged with managing insurance costs, claims, rising fraud, driver training and fuel prices. The major issue that drove the company to begin searching for a vehicle camera system (ultimately choosing ProVision’s CameraMatics system) was managing and defending claims in a more efficient way and wanting to better defend those claims. Following extensive trials of three different systems, they chose ProVision’s CameraMatics system because of its flexibility, quality and powerful platform that provides powerful features to manage fleet risk, driver safety and compliance. The company has now used the system for the past two years and over that time it has learned how to integrate the system into its day-to-day business practices, and crucially, to supplement the company’s advanced telematics data with the CameraMatics data and footage. Thanks to this approach McCulla ? have experienced substantial savings in the areas of controlling rising insurance costs, preventing fraud, improving driver training and more efficient claims handling; all of which has led to easier and more effective risk management. A major element of McCulla’s business is insurance management. Working very closely with its insurers, the company has shown how the CameraMatics system not only helps to better defend claims but, more importantly, how it can be used as a full fleet and risk management solution to improve driver and general fleet safety and thereby reduce future accident claims. In addition, ProVision’s system allows McCulla to counter the threat of fraud. With incidents occurring on a monthly and, at certain times of the year, even weekly basis, video footage acts as a digital witness, protecting drivers by showing that they were not at fault. 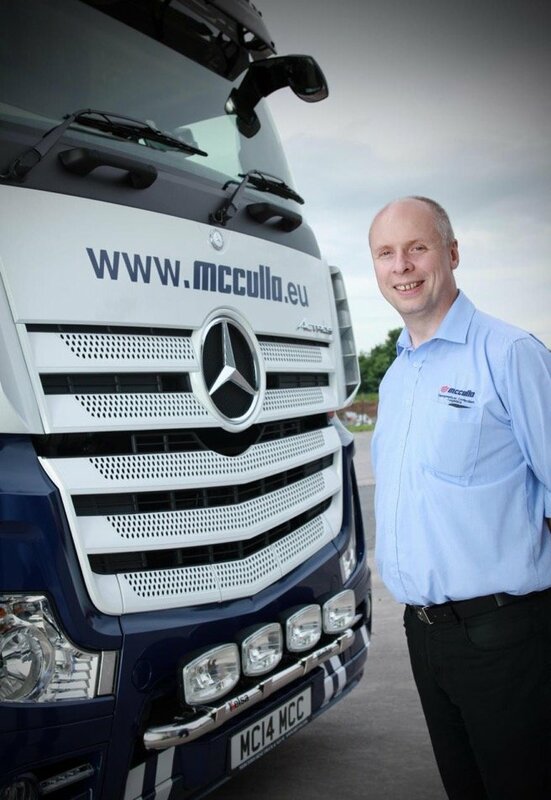 McCulla uses the cameras to review driver safety and performance, ensuring that they drive safely and follow best practice. The operator carries out a combination of checks against their telematics data and the corresponding footage and uses clips as a training aid to allow drivers to improve future behaviour. CameraMatics helped McCulla to control rising insurance costs and offered the companpy flexibility when looking to renew insurance. In addition, it has halved the work for its staff involved in dealing with claims and legal procedures. One of the most surprising findings was how much of an impact the visual evidence had in helping drivers to reduce fuel use. Driver training using this footage has delivered a 3% improvement in fleet MPG. In monetary terms, the reduction in fuel consumption translates to approximately £80,000 per year; this is on top of the savings they were enjoying through their existing telematics data reviews alone. When all these savings and efficiencies are combined, McCulla estimates savings of around £200,000 per year. For McCulla this translates to a return on investment of between seven to eight months. This on a system that they anticipate having a seven-year lifespan!